Our experienced technicians will give you fair and competitive estimates on any of your collision repair needs. We will provide you with a free estimate and will take the time to explain the process and necessity of the repairs. We think that it is important that you know why your vehicle needs the repairs our staff suggests to you. To get your free estimate today, you may call us at 814-476-4040 or send us an email at service@eagle-auto.us. No appointment necessary! We provide you with free and fair estimates. 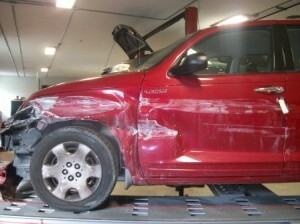 We get your accident repairs completed in a timely manner- so you can get back to your regular schedule. and auto body repair needs!